3athlon - #dnf is no option: Does the blood doping affair in Erfurt reaches triathlon or Honolulu Marathon? Does the blood doping affair in Erfurt reaches triathlon or Honolulu Marathon? During raids under the project name "Operation Aderlass" on 27 February 2019 at the Nordic World Ski Championships in Seefeld (Austria) and Erfurt (Germany), investigators from around the public prosecutor's offices in Germany and Austria excavated a doping network around the arrested Erfurt physician Dr. Mark Schmidt. The network had been active since 2011 with a "three-digit number of cases of blood collection and return" until it was dismantled this spring. Growth hormones and previously unidentified substances are also said to have been used. Whether new, experimental doping practices have taken place is currently unknown. Nine dopers identified, eleven still unknown to the publicAs part of the operation by the investigating authorities, 9 athletes from Austria, Estonia and Kazakhstan as well as other suspected manipulators and accomplices have so far been identified and arrested and extensive evidence (e.g. 40 blood bags) seized. Among the nine known athletes are three Estonian cross-country skiers, three Austrians and one Kazakh. Two Austrian cycling professionals, including Georg Preidler. There remain eleven publicly unknown cheating athletes of this doping cell. Cross-country skier Max Hauke was caught during the raid by the Austrian special unit Cobra in the hotel room with a needle in his arm when he wanted to lead himself back only four hours before the start of the 15-kilometer cross-country race of the World Championships. A few hours later, a video of the scene was illegally uploaded to a video portal and distributed as a copy. Other athletes, such as Preidler, presented themselves. The Austrian cross-country skier Johannes Dürr triggered the investigation with his statements in the ARD documentary "Die Gier nach Gold - Der Weg in die Dopingfalle" by Hajo Seppelt in January 2019, when he made doping practices public and has meanwhile also been arrested for fraud. 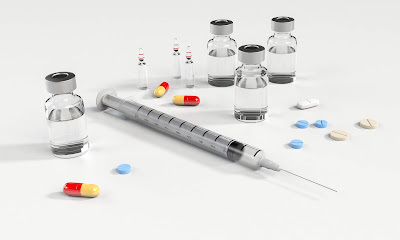 As the FAZ reported on 20 March 2019 from a press conference of the public prosecutor's office Munich I, 21 athletes from 8 nations have made use of the forbidden "services" of the doctor Schmidt including self blood doping. A summary video recording of the press conference, about 5 minutes long, is available e.g. from MDR . "The 21 athletes come from five different sports, including three winter sports," said Gräber. The blood transfusions had been carried out worldwide under partly questionable hygienic conditions. They were carried out in Germany, Austria, Switzerland and Finland, among other countries, but also in South Korea and on the us-American archipelago of Hawaii. In February 2018, the Olympic Winter Games were held in Pyeongchang, South Korea. On Hawaii the legendary IRONMAN over the long distance and also the Honolulu Marathon take place once a year in October respective December. „Meanwhile, the Munich Public Prosecutor's Office, upon request, stated that by referring to the Hawaii doping scene, it did not mean the famous IRONMAN of the triathletes. Instead, the annual marathon in the capital Honolulu is said to have been the reason for the activities of the group around S.“. “Schmidt or one of his helpers flew specially to Hawaii to look after at least one athlete at the Honolulu Marathon in December. With over 30,000 runners, the marathon is one of the ten largest in the world. Triathletes were not among Schmidt's customers”. Gräber also explained the dangers arising from concrete doping practices with the help of some vivid examples. The Chief Public Prosecutor also illustrated the dangers of doping practices. Among the negative highlights of this press conference are circulatory problems, the risk of infections caused by poor hygiene and athletes who, after treatment, "put their arms up to their shoulders in the snow". Obviously, because the cycle and the temperature were too high and it had to cool down," are the negative highlights of this press conference. In at least one case, an athlete had to serve as a guinea pig in order to test a doping agent unknown in terms of its actual composition, of which neither effects nor side effects were known. After the application, the athlete's heart started beating at double speed and further attempts with this complex of active ingredients were rejected. Gräber also explicitly mentioned autologous blood transfusions shortly before the long-haul flights to Pyeongchang in South Korea or to Big Island, Hawaii and used a classic but slightly modified term from criminal drug smuggling: "autologous blood body packer". "Although thrombosis prophylaxis has been admitted, this is certainly not medically correct," said Gräber. After landing in Hawaii, his own blood had been taken again. He also announced that a fourth suspected accomplice was arrested in Erfurt on Monday. Schmidt's father, paramedic Sven M. and nurse Diana S. are already in custody. When Matschiner was discovered, but the Austrian investigators had no means of pulling in his centrifuge, the Austrian and the Thuringian doctor came into the business: Instead of sending it to "charitable purposes" as announced, Matschiner sold his device to S. together with a freezer for 50,000 euros. In 2018, S. had to procure a new centrifuge, which was also confiscated during the raid on 27 February. "I'm interested in the whole story," said Gräber. "Not only that which is not yet statute-barred." On March 15, 2019, the International Triathlon Union (ITU), the international umbrella organization for triathletes, announced with quotes from high-ranking sports officials that far-reaching competencies with regard to operational anti-doping processes and structures are to be reorganized through a new cooperation with the Anti-Doping Unit of the Court of Arbitration of Sport (CAS) in order to ensure the independence and integrity of anti-doping measures through the separation of powers. The ITU is thus the first top sports association to take this step. The timing could not be better, literally and ironically speaking.